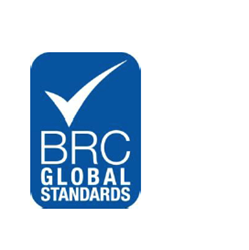 The BRC Food Safety (Americas) Awards Program recognized the outstanding commitment, support and performance of individuals and organizations who contribute to the development of the BRC Global Standards certification scheme and the wider food safety industry in the Americas markets. The BRC Food Safety (Americas) Awards Program is the first of its kind, and we have been delighted to recognize the ongoing commitment and hard work of individuals and corporations. Finalists from each category were honored at an awards ceremony held on board the StarShip Yacht on 6th April 2016 in Tampa, Florida, during the BRC Food Safety Americas conference. Gordon Hayburn – Trophy Foods Inc.
Bradley L. Reynolds, Regional Director, Food Safety of Sysco Corporation, said: “I want to thank you for the nomination and consideration for the BRC “The best use of the BRC Global Standard to drive change” award. It is an honor to be the first recipient of the award and I can’t express how happy we are to share this with our team.” This award recognized Sysco Corporation’s outstanding achievement at working within and outside their organization to drive food safety and quality, and in supporting the growth of the BRC scheme.